Home ownership is no simple task. And if you’ve just bought your first home, you may not be fully aware of all of the new responsibilities you’ve added to your life. But that’s not a bad thing; it just means that it will take some time to get acquainted with your new life. If you came from an apartment, you may be used to your landlord scheduling regular maintenance for your studio. However, now that you own a home, you’re going to have to take the responsibility to keep up with those things yourself. Scheduling regular maintenance for HVAC systems is one thing that many new homeowners forget about or neglect. But your HVAC system doesn’t just keep you warm or cold, it’s also an important part of maintaining the air quality and energy efficiency of your home. Keep reading to learn more. We’ve all been in that situation where it’s either a really hot summer or a really cold winter and we have no choice but to crank our HVAC system to full power in order to make it somewhat bearable to remain inside the home. However, if your system isn’t maintained regularly, you may be cranking up your energy bills at the same time. 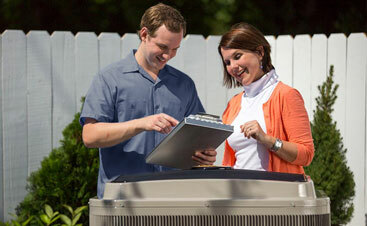 Many homeowners assume that because their furnace or air conditioner turns on that it’s working to its best ability. And this may be the case. You could be getting all the heating and cooling that you need to feel comfortable, but that doesn’t mean it’s running efficiently. Instead of waiting for an issue to arise, why not schedule regular HVAC checkups so you’ll never have to worry about those crazy energy bills. 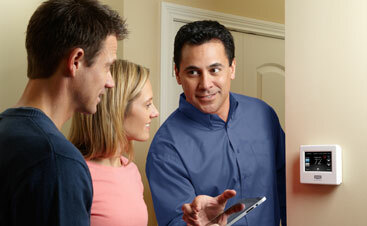 Your HVAC doesn’t just heat or cool your home, it also improves indoor air quality. Your air filter plays an important role when it comes to keeping harmful contaminants out of your home as air is circulated throughout the system. Your air filters come in different sizes depending on what furnace or AC system you have and are given a MERV rating (Minimum Efficiency Reporting Value) based on its effectiveness. But don’t just go out and buy an air filter with the highest MERV rating. The type of filter you use will depend on many factors including the size of your home and type of system you have. We talked about this in our previous two blogs so feel free to read those or contact an HVAC specialist today to learn what your options are. 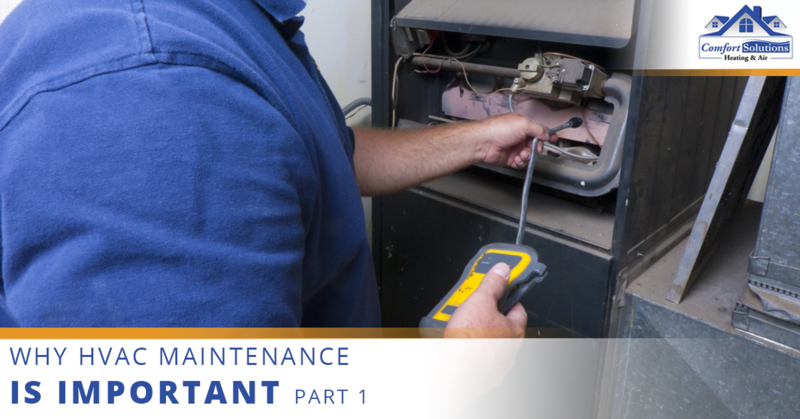 If you do run into a serious problem with your furnace or air conditioner, you should first check the warranty. This is another reason to keep an eye on your system even if you don’t happen to be using it at the moment. If you wait until the hottest or coldest months of the year to get your system repaired, your warranty may be up and you’ll have to pay full price for the components. Many homeowners never take advantage of warranties even though they may still be active. Although you still might have to pay for the labor to have those parts installed, it’s better than nothing!